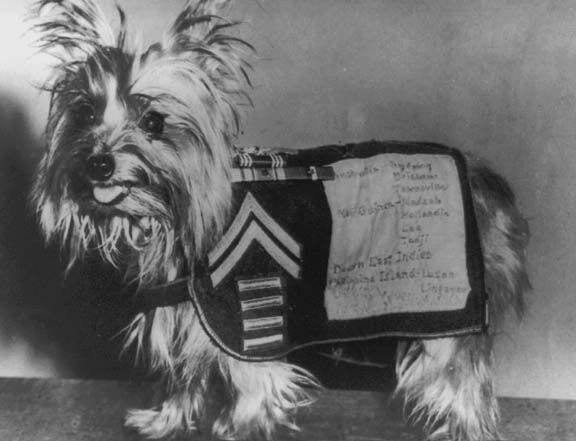 This Cute Yorkshire Terrier Was a WWII Hero! 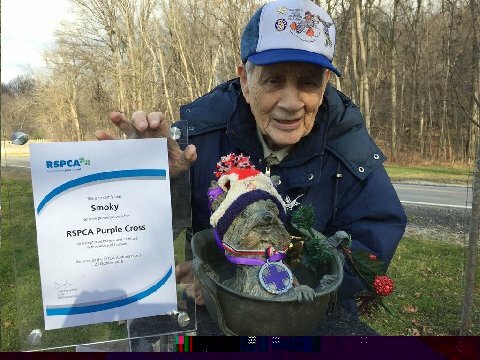 We’ve all heard of the heroes during wars from Winston Churchill to Rosie the Riveter, but have you ever heard of Smoky, the dog? 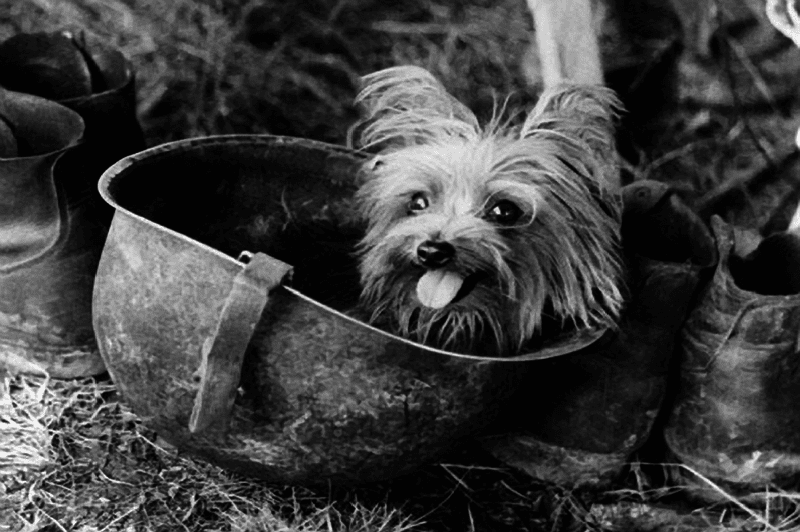 Well, in 1944, an American soldier was wandering through the jungles of New Guinea when he came across a little Yorkshire Terrier hiding in a foxhole. The soldier thought that maybe the dog belonged to the Japanese, but since the furry little girl didn’t seem to understand or respond to the language, they couldn’t figure out how she got there. The soldier was eager to get back to his poker game, and so he sold Smoky to a fellow soldier for six bucks. The man who bought Smoky was Corporal William A. Wynne from Cleveland, Ohio. 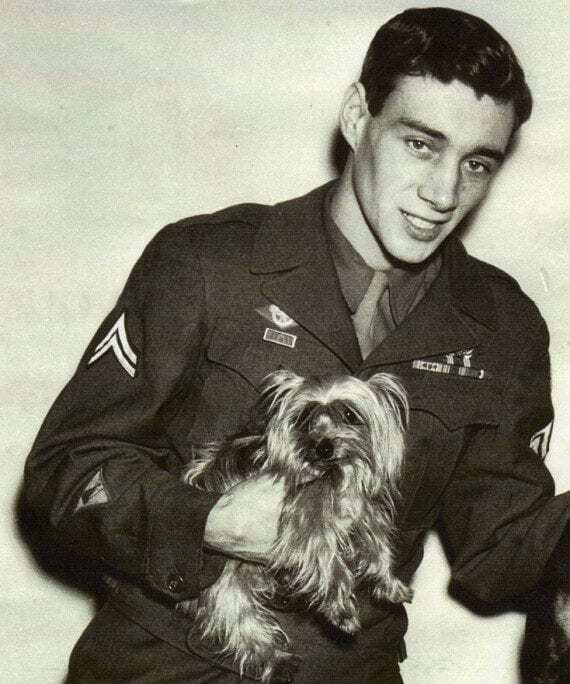 For the next two years, Smoky backpacked through the rest of the war and accompanied Wynne on combat flights in the Pacific, becoming his loyal companion. She slept in Wynne’s tent on a blanket and even shared his C-rations and an occasional can of Spam. Unlike other “official” war dogs of World War II, Smoky didn’t have access to a balanced diet nor veterinary care. However, she was never ill. Smokey even ran on coral for four months without developing any of the paw ailments that had plagued some war dogs. The four-legged friend’s work saved approximately 250 ground crewmen from having to move their location. The dog also kept 40 US fighters and reconnaissance planes operational. How? Construction detail dug up the taxiway, which placed the aircraft and soldiers in danger from enemy bombings. It would have been a dangerous three-day task to dig up all of the wire; instead, this little dog completed the job in minutes. Needless to say, Smokey went on to become a nationally recognized WWII hero. In her downtime, Smoky learned numerous tricks, which she performed for the entertainment of troops with Special Services and in hospitals from Korea to Australia. She was definitely part of the family.